We swear to you that we have found the welders jacket you have always wanted! Even the name of this men's workwear screams durability and protection. This Black Stallion Men's F9 36C Cotton Welding Green Jacket is an essential part of any welder's equipment list. ... (see full details) (see specifications) #REVF9-36C. We swear to you that we have found the welders jacket you have always wanted! Even the name of this men's workwear screams durability and protection. This Black Stallion Men's F9 36C Cotton Welding Green Jacket is an essential part of any welder's equipment list. This jacket is crafted with 9 ounces of cotton, and it's machine washable. This outerwear is equipped fire- and spark-resistance so you can feel completely safe on the job.This jacket's fire resistance is good for up to 50 home washings (per ASTM 1506). In addition this protective gear also offers you the roomy fit you desire whether you're a professional welder, engineer, or sculptor. It measures 36-inches, so you'll have plenty of coverage to prevent injuries. This men's workwear is equipped with reinforced snaps and adjustable wrists provide you with the perfect customs. In addition this Black Stallion outerwear also features an inside pocket and a scribe pocket for exceptional storage for all your essential belongings. You can even have this green jacket custom embroidered by the Working Person's store with addition cost. For reliable safety you can depend on each day at work, order a Black Stallion Men's F9 36C Green Welding Cotton Jacket. Order yours online from the Working Person's store today. Also for sizing, take the chest measurement by measuring under your armpits around the fullest part of your chest and use the chart below. This has been a very durable jacket for past couple of years. Even though I have exceeded the number of wash cycles for spark resistant it still keeps most burns under control. It has some holes from arch welding but for the most part kept me from getting burned. The snaps are heavy duty. It has stood up to many pipe welding jobs and galvanized metal welding. I would recommend this to anyone doing this type of work. I was not happy that Bill did not have the proper shirt for welding. I got this one and he actually uses it. I feel better, and his shirt sleeves look better. Starting my own business. I got these jackets in different sizes along with gloves, caps and aprons. All very high quality, I'm very satisfied with it all. Good jacket. All of us use this one and have good luck with it. I know they all look the same, but this is the one I like. I don't care for the color because it looks like a huge mint. I do like the price and that it has all the protective features of the more expensive jackets. I am an apprentice and didn't want to spend a lot so I went with this Black Stallion jacket. I don't have any regrets and it has served its purpose well. 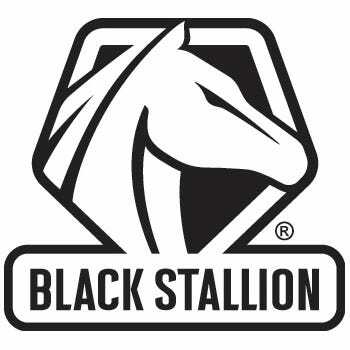 Black Stallion Jackets: Men's F9 36C Green Cotton Welding Work Jacket is being added to your cart.